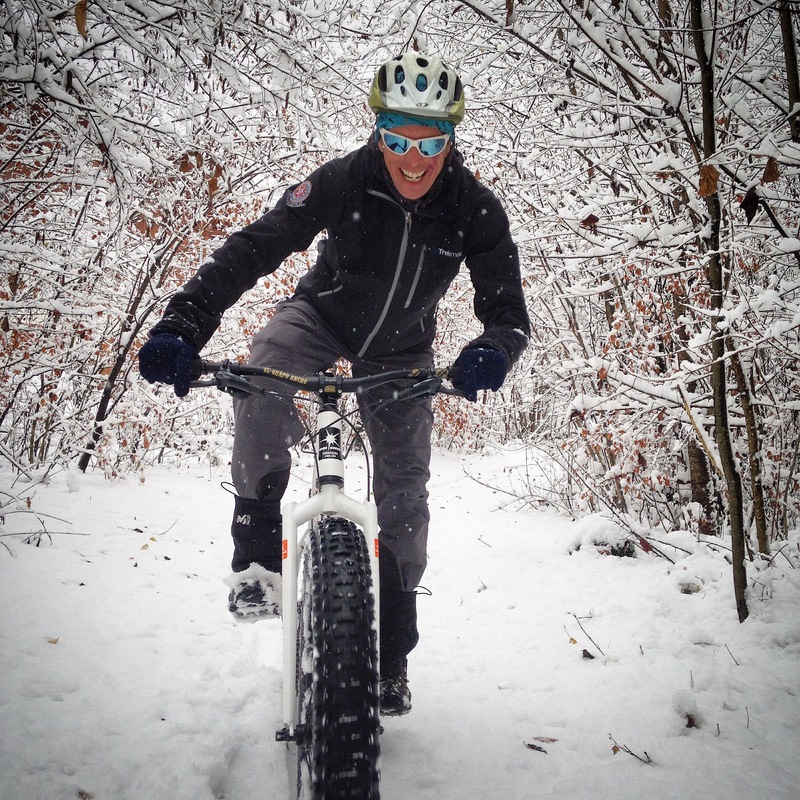 We are half way through our winter season now and really enjoying putting our fat bikes through their paces. 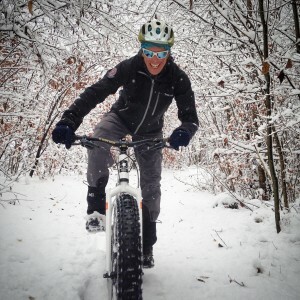 This winter season we launched our Alpine Fat Biking trips. We’ve been having great fun learning about what the bikes can do in what conditions. It’s been an unusual season snow-wise with some temperature fluctuations of 20 degrees within 24 hours. Consequently the snow has changed from powder to névé to ice almost on a daily basis. Every day is different and it’s been really challenging for Jamie’s route choice but he’s always found great trails to ride. We’ve also been learning about what to wear. You can start off really cold and then be sweating within 10 minutes so layering-up with thermals, a soft shell jacket and a waterproof is the best approach. The most important thing is to keep the hands and feet warm with thick winter biking/ski gloves, thick socks and winter biking/hiking boots. A buff to protect the neck and face, especially for the downhill, is essential. Mason Thomas came out to ride with us for a few days at the beginning of February. He and Jamie had some epic adventures and thrilling descents. Have a look at the video, which shows Mason enjoying an early morning blast down a local ski piste (when closed). Big views, big descent, big smiles all round. Keep an eye on our Facebook page and the Instagram feed on this website or online for more Fat Bike action.